Southern California Driveway Gates | Custom Horse & Dog Design by JDR Metal Art - Custom Driveway Gates - Iron Steel & Aluminum - JDR Metal Art - FREE Standard Shipping! Need custom gate info? Call or Text Now! 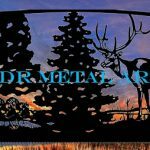 Custom Driveway Gates – Iron Steel & Aluminum – JDR Metal Art – FREE Standard Shipping! Any gate, any size, anywhere. Call today for a free consultation. We made these dual swinging steel gate panels each 7′ wide to accommodate our California customer’s 14′ wide driveway entrance. Each gate panel is 5′ tall on the ends and arches up to 6’4″. We used extremely durable steel square tubing to build these gate frames. With a 3/16″ wall thickness for the the 2″ square tubing frame, each gate panel will support far more than it’s own weight. We know that using heavier tubing is more costly but it benefits our customer also by adding many years to the life of the gate. Our customer was looking for a gate design with horses and dogs included in it. We also wanted to design something that fit in with the background of the area the gate would be installed. The design was plasma cut from 1/8″ thick sheet metal. We then welded each sheet into the gate frame. Each gate panel weighs about 200 lbs. We work with custom gate clients all throughout California. 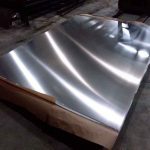 Whether you’re in Los Angeles, San Francisco, Sacramento, San Diego or anywhere else in California; we design and build affordable custom metal art gates for you and ship them directly to you or your contractor. We have developed a network of reliable gate installers in California who are familiar with installing our custom gates and automatic gate openers. Of course we also frequently work with customers who wish to install their driveway gates themselves. It only takes a few hours or less, depending if the post holes will be done be hand or machine. Ex. : Wildlife, Pets, Equine, Trees, Farm, Ranch, Residential, Simple, Traditional, etc. Would You Like a Free Gate Quote?